Not sure if you have heard, but Sephora will no longer be carrying the Sephora by OPI (or OPI by Sephora, as it's listed in their alphabetical drop-down). My undertanding is that they will be expanding their Sephora X line. 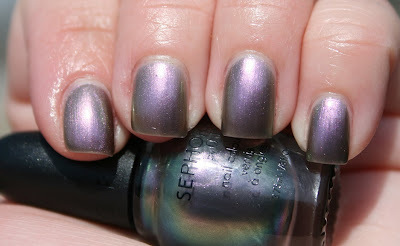 I am disappointed because I've been a big fan of the Sephora by OPI line....... a big fan! The somewhat good new is that they are having a sale on the line- quite a few sets and all individual shades are half-price ($4.50). This is a fabulous deal! Note also that ebates is giving back 8% from Sephora purchases right now. One thing I'd definitely recommend is getting the Metro Too Chic set- it's currently half-price ($12!). If you don't get the set, you at least NEED to purchased an individual bottle of Metro Too Chic- it's absolutely gorgeous! 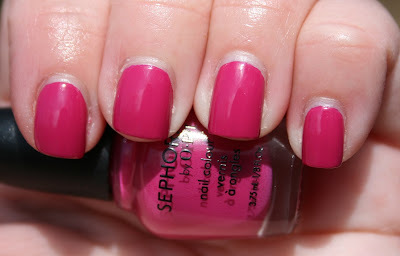 Here are swatches of the Metro Too Chic mini set. 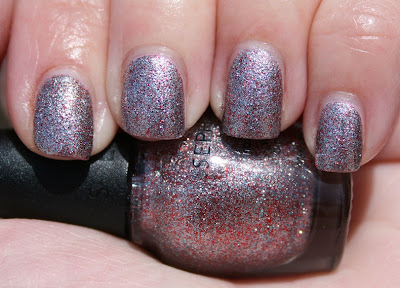 I really like this set- I think Metro Too Chic and Arose Beyond Shimmer are stand-outs. What Film Noir You In?